Welcome back! With the smells of sharpened pencils and fresh paper comes classes, homework and peers. I’m so honored to take the lead this year and carry the torch hand in hand with my fellow co-editor, Sarah Buckman. 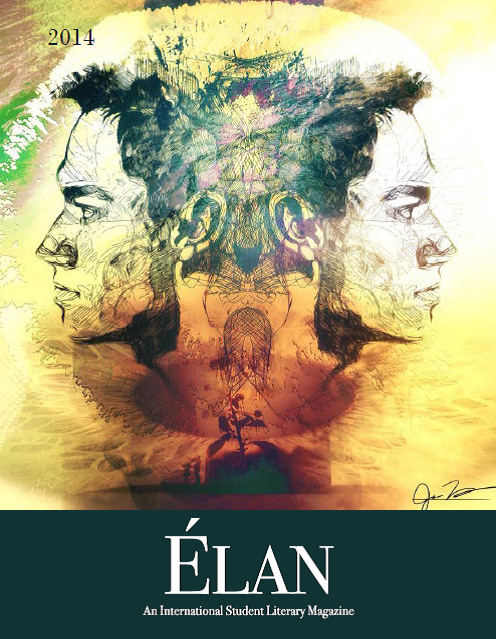 The Élan staff as a whole is eager to take the brand new foundation we constructed last year and keep progressing. With the new building and construction occurring on campus, it comes natural. It’s almost unreal to try to image we could implement anymore change than we previously did. But I’ve already been proven wrong. This year’s homecoming is held in an entirely new location. And no one’s complaining about having to move the event out of the muggy gym. The new venue will hopefully attract a larger crowd. More people showing up means more people learning Élan’s name. Last year was strictly all about branding and defining our identity. I see this year’s focus being directed towards projecting that fortified identity to the public. We want people to know who and what we are. A large portion of gaining followers is making sure we’re directing our attention to the people who actually want it. The Élan will be striving to reach out the writers’ of this community and securing their presence with us. It’s so exciting to know that new art and writing will be in our hands in a matter of only thirty days. The submission period can be intensely chaotic with the hundreds of pieces to be read, but I’ve missed it. It’s so rewarding to be a part of a staff that has a shared, overarching goal: the dispersal of art. The process to achieve that distribution, no matter how hectic, is always worth it. Here’s to a new year, new land to trek and a new Élan to discover.